Why Are Certain Foods Inflammatory? Inflammatory foods can be confusing because they’re not one size fits all. What’s inflammatory for your neighbor may not be inflammatory for you. Everyone is different! It all goes back to the study of one. Throughout the 131 Method you will test various foods to determine which ones are inflammatory for you. We suggest you start by testing the most common inflammatory foods. Below is a guide for which foods to test and why they may be causing you inflammation. This is a very common inflammatory food. From an overall health standpoint, the less you consume the better even if you feel like it’s not causing you inflammation. When reading the ingredient list be mindful of the different names for sugar: brown rice syrup, fruit juice, maple syrup, beet sugar, turbinado, evaporated cane juice, agave nectar, honey etc. Also, organic sugar has the same effect on your blood sugar as non-organic sugar. Examples are breads, pasta, crackers, bagels, muffins, cookies, pies, cakes, even foods that are marketed as health food like cereal. These processed foods are stripped of their nutrients and are often high in added sugar. Some artificial sweeteners should be completely avoided like aspartame and saccharin. We recommend using caution with monk fruit and stevia because the jury is still out on these due to the lack of research available. Sugar alcohols like xylitol and sorbitol are considered safe in moderation but again, they are possibly pro-inflammatory for some people. There are two sides to every story right?! One side of the argument is all artificial sweeteners and sugar alcohols should be avoided, because they provide a sweet taste without any calories which causes the body to crave more sugar. On the flipside, some studies show that when stevia and xylitol are consumed in their pure state and without additives they are non-inflammatory. 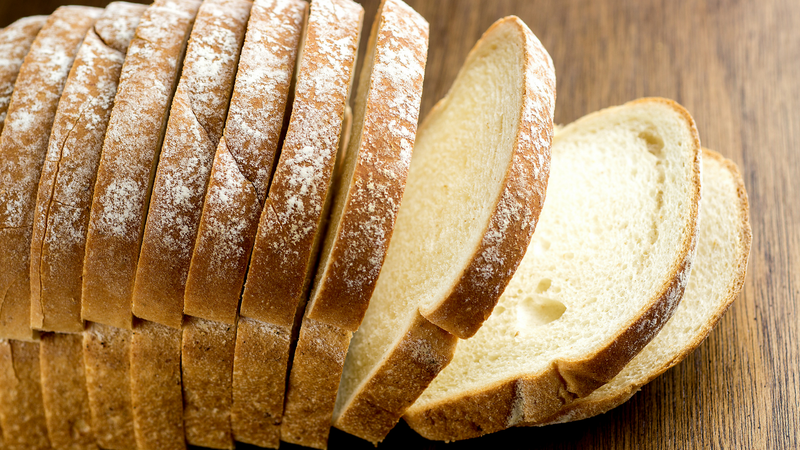 Gluten is found in wheat, barley, and rye. It’s a common inflammatory protein that affects people in different ways. Some people have an autoimmune disease like celiac disease that requires one to completely avoid gluten and others have a gluten sensitivity where gastrointestinal issues like gas, bloating, and diarrhea arise after consuming gluten. Inflammation from dairy may present itself in different ways. Excessive mucosal production and skin irritations are common signs that dairy may be inflammatory. It’s also not uncommon for some to only have an issue with only certain types of dairy, but not all dairy products. For example, one may be able to tolerate yogurt but not cheese. Processed meat and conventionally raised animal proteins are common inflammatory foods. Not only do they cause inflammation but recent research has shown a correlation between processed meat (canned, smoked, cured meat) and chronic diseases. Examples of processed meat includes hot dogs, sausage, packaged meats, etc. The nutritional profile of conventionally (inhumanly) raised animals is inferior to humanly raised animals. Conventional meat is often given a grain-fed diet, antibiotics, and kept in tight quarters with little quality of life. The quality of meat not only makes a difference in the nutritional profile, but also in the way the body reacts to it. The benefits of a daily glass of red wine may not outweigh the risk for some people. Alcohol commonly causes inflammation, disrupts sleep, and promotes abdominal fat. The majority of fast food is highly processed, especially the fried food. Even the “not so bad for you” fast food joints are preparing their food with inflammatory vegetable oils like corn, soybean, cottonseed, peanut, safflower, and canola oil. So, it may not necessarily be the food itself causing inflammation, but more so the oil used to prepare the food. This plant based food commonly causes gas. However, many notice symptoms subside by consuming pre-soaked and sprouted beans. Experiment with this food! Sparkling water and komboucha fall into this category due to the carbonation which may cause gas. If you’re consuming carbonated drinks containing artificial sweeteners like diet coke, it may be the artificial sweetener causing GI distress and not necessarily the carbonation itself. Other common pro-inflammatory foods include but are not limited to coffee, caffeine, chocolate, citrus, nuts, artificial color, yeast, and gums. The list above may seem overwhelming, but remember it doesn’t necessarily mean all of these foods are inflammatory for you. It also means that there is food not on this list which may be causing you a problem. You choose the foods you wish to test. What is it about dairy that makes it inflammatory? Is it the lactose? Is something like Kefir less inflammatory due to the fact that the kefir grains eat just about all of the lactose? The inflammatory protein is casein or whey (more so casein for most people). Even within that, there are A1 and A2 forms and most are more sensitive to A1 casein. Kefir would still have casein but A2 version may be more tolerable for some. Lactose is the sugar which can cause gas or intolerance symptoms but it’s not the same thing as an inflammatory response from the protein. Hope that helps! With dairy, the inflammatory protein for many people is casein (specifically the A1 casein). Kefir will still have casein though there are some versions like coconut based ones that will not. Lactose is the sugar which can cause intolerance and gut symptoms but that’s not the same thing as an immune/sensitivity response. Hope that helps!